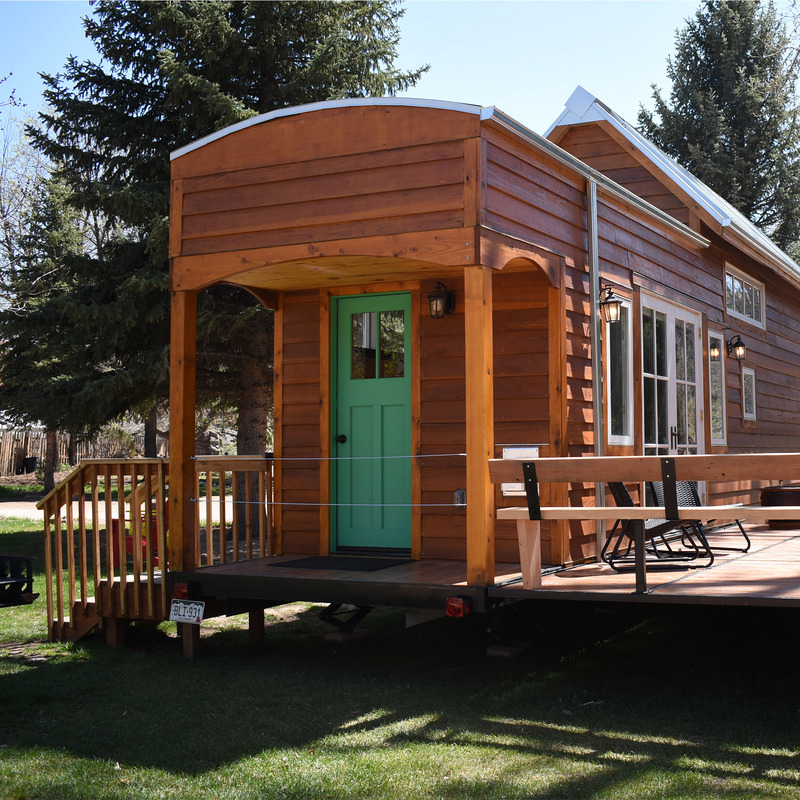 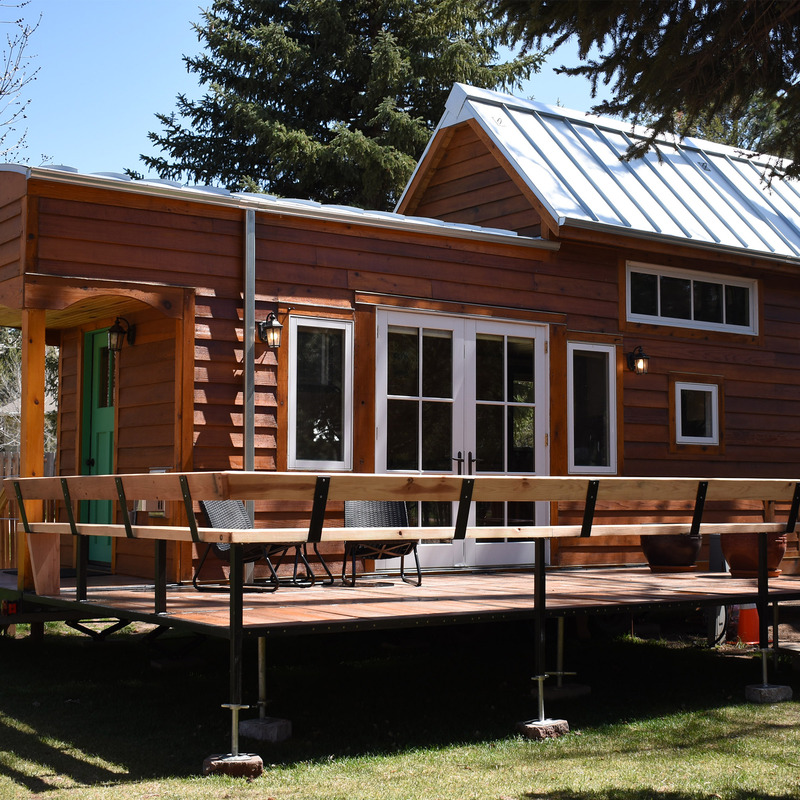 With over 400SF of indoor living space and a 200SF deck, the Sequoia is the largest tiny house here at WeeCasa! 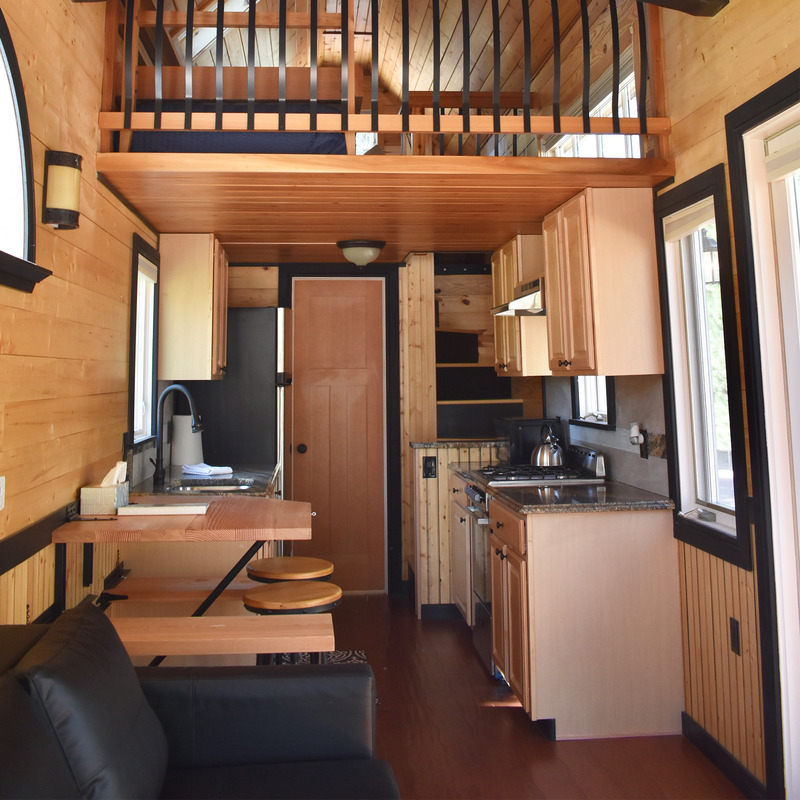 This house features full-size kitchen appliances (fridge, stove/oven, microwave), and a full bathroom with tub/shower, flushing toilet and sink. 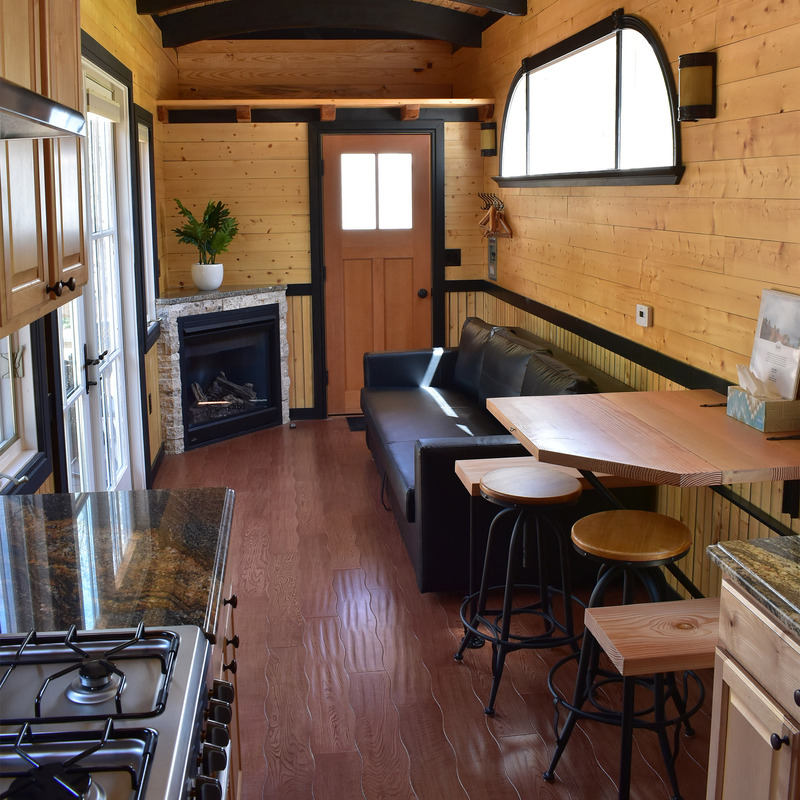 Propane fireplace in the living space. 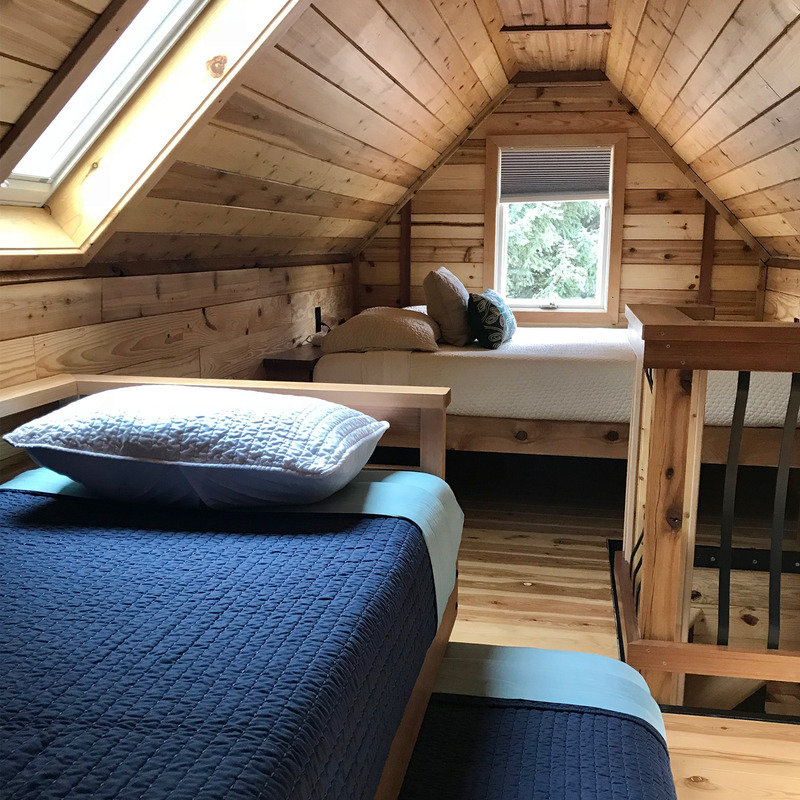 The loft is accessible by a custom-built spiral staircase and includes a queen size bed plus a trundle bed (2 twins).